Only a handful of tickets remain for the Taj Mahal Trio tonight at the Community Concert Hall at Fort Lewis College. The legendary bluesman will be joined by Kester Smith on drums and Bill Rich on bass. 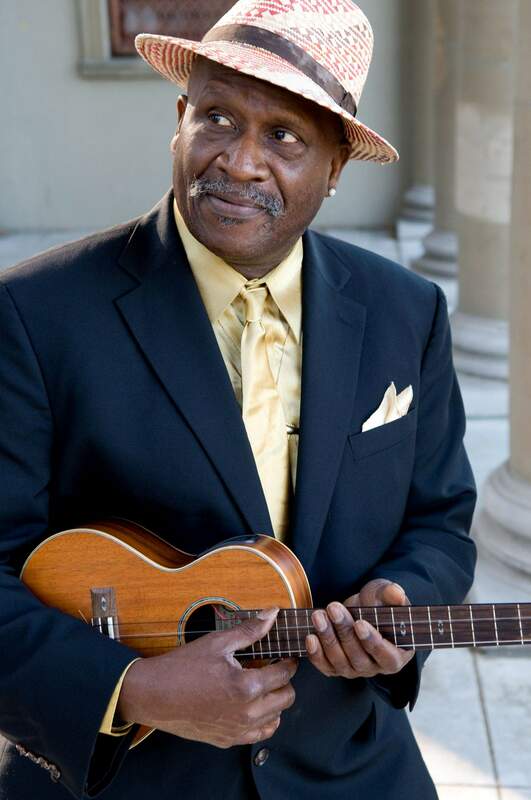 The ukulele is just one of many instruments Taj Mahal will play during tonights concert. Drummer Kester Smith and bassist Bill Rich round out the Taj Mahal Trio. When remembering soul and blues legends from the last century, names like Otis Redding, Muddy Waters or B.B. King come to mind. But dont forget Taj Mahal. Hes actually played with each of them at some point in his long music career. Tonight, five days after turning 70, Mahal will return to the Community Concert Hall at Fort Lewis College with his latest band, the Taj Mahal Trio. Taj Mahal is the blues. He lives and breathes it. But hes not limited to it. In fact, hes one of the most eclectic artists in the history of blues. His musical production matches his worldly experience. He doesnt stick to one particular genre of music, but rather combines his international experience into his own unique product. He incorporates elements of jazz, rock, pop, world music and even Hawaiian  a result of time spent on Kauai in the 1980s. In Harlem, N.Y., born Henry St. Claire Fredericks, he was brought up in a diverse environment with a musically inclined father of Caribbean descent, and a mother from South Carolina who sang gospel music. Later, Mahal moved to Springfield, Mass., with his family. His cultural background is evident in his music. We spoke several dialects in my house  Southern, Caribbean, African  and we heard dialects from eastern and western Europe, he writes on his website. Along with the guitar, Mahal is a master of a variety of instruments. He was encouraged to play music as a child. At a young age, he mastered the clarinet, piano, trombone and harmonica. That was just the beginning for him. While studying agriculture at the University of Massachusetts, he and a few friends, including Ry Cooder, formed the Elektras, a party band that moved to Los Angeles after he graduated. The Elektras eventually signed with Columbia Records. They disbanded soon after, but Mahal stayed with the label. Throughout his 50 years as a performer, hes played with some of the greatest musicians, names like Jimi Hendrix, Buddy Guy and Santana. Legacy Recordings will celebrate the ground-breaking musician with the release of The Hidden Treasures of Taj Mahal 1967-1973 on Aug. 21  a two-disc set that will be the first of several unreleased studio and live recordings. It will also include audio from his first performance at the Royal Albert Hall in London in 1970. This is fabulous news for the legions of fans who have always been unfailingly loyal to me and this music weve shared for the duration of a wonderful ... still on-going career of touring and playing live for fans, he wrote. His latest full-length studio album Maestro, released in 2008, features collaborations with talented modern-day musicians like Ben Harper, Jack Johnson and Ziggy Marley, who have been influenced by Mahal. He helped Harper get his start in the music business in the early 1990s when he took him on tour. This record is just the beginning of another chapter, one thats going to be open to more music and more ideas. Even at the end of forty years, in many ways my music is just getting started, according to his website. Yes, fans. This is the real deal. A blues maestro will be in the house tonight. 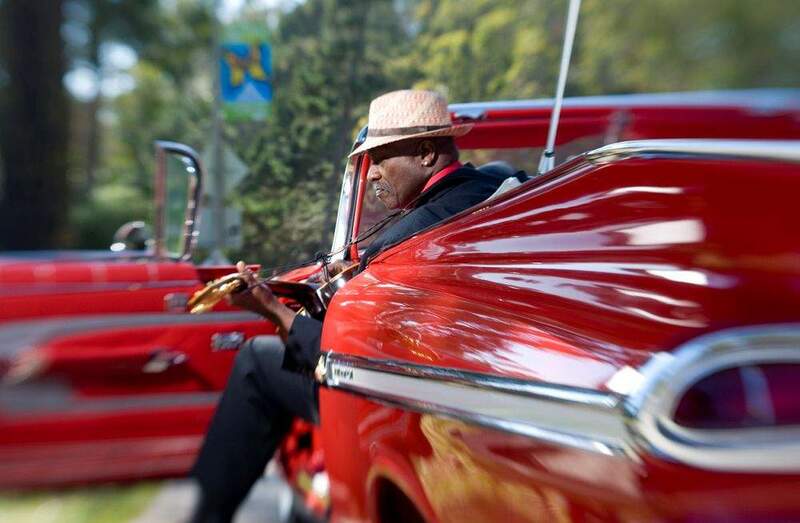 The Taj Mahal Trio, 7:30 p.m. today at the Community Concert Hall at Fort Lewis College. Balcony tickets are $39, (orchestra and plaza sold out), available by phone at 247-7657, online at www.durangoconcerts.com or at the downtown box office at Seventh Street and Main Avenue.